At a glance, Norway may not seem like a winter destination — but when the snow hits, its lush landscapes truly turn wild. With fewer crowds to share the wilderness and the Northern Lights dancing overhead, there may be no better season to pay Norway a visit. 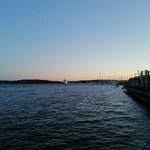 Winter in Norway is surprisingly varied — when the Arctic Circle sees little to no daylight and temperatures fall well below zero, western Norway (including the fjords, Oslo, and Bergen) stays temperate in the swirl of the Gulf Stream. The winter you want to experience is thus determined largely by where you go, but whatever you choose, it'll be unlike any you've ever seen. Here are five adventures that prove it. Count 'em up: Norway has around 63,000 miles of twisting coastline. (To put that in perspective, the diameter of the Earth is just under 8,000.) 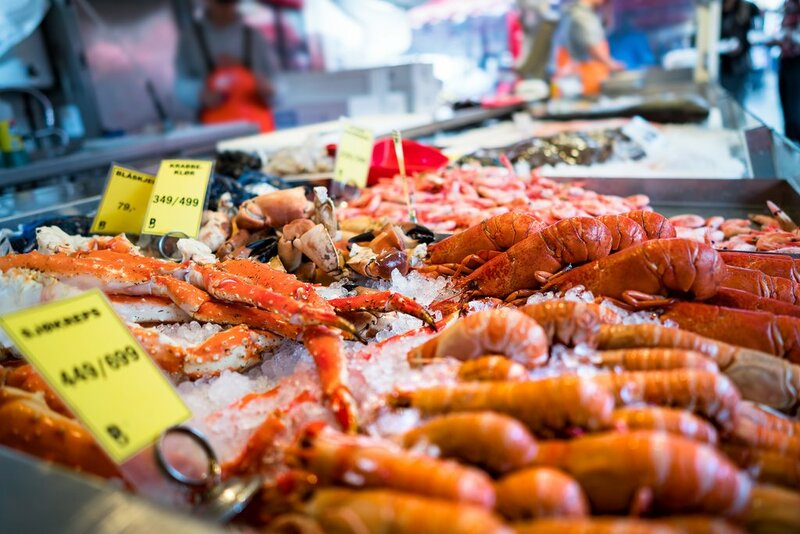 With all that access to water, it's long been known that Norway has some of the best seafood in the world, but what's remained a secret is that it's actually freshest in winter. 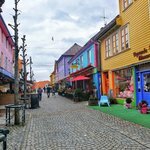 An entire trip could revolve around seafood delicacies here, but all you have to do is knock a few experiences off your list: Check out any of the ever-bustling fish markets in cities like Bergen, Trondheim, and Stavanger (skrei, a type of cod, is the seasonal specialty). Get your tastebuds on Tørrfisk (stockfish), the main industry in Norway for hundreds of years. Sit down to smoked salmon or trout at one of Norway's best seafood restaurants, like Restaurant Fjord in Oslo. Or truly get your hands dirty and go up north to Kirkenes to catch your own king crab or Arctic char. 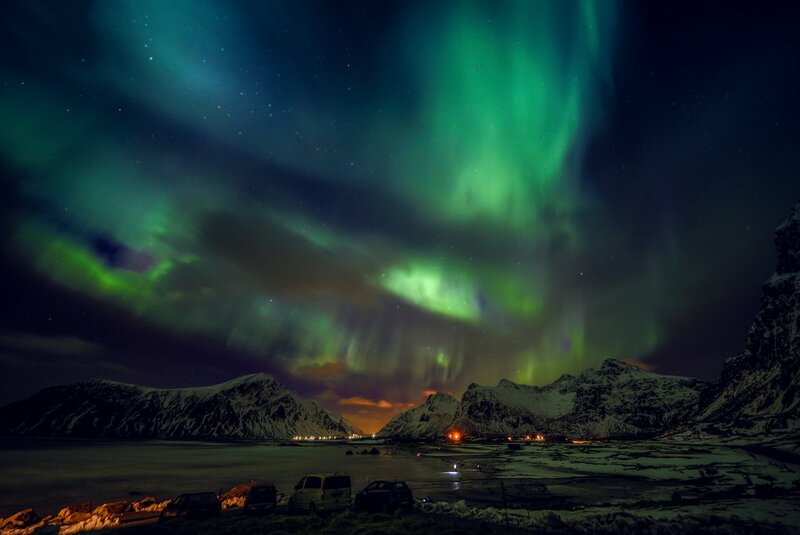 If you time it right, you may see the occasional ribbon of purple or green dancing in the sky as far south as Oslo, but the further north you head, the better your chances for spotting the Northern Lights. 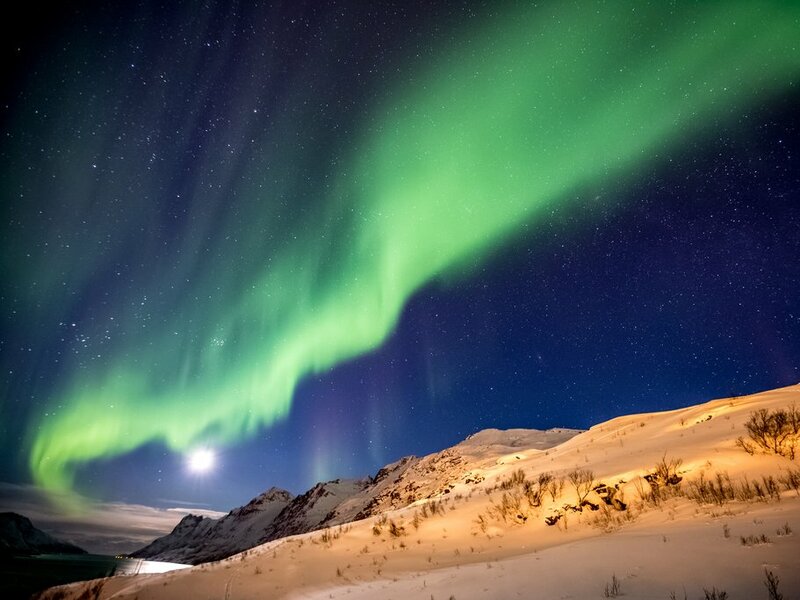 One of the most popular cities to base an aurora excursion out of is Tromsø — it's over 200 miles north of the Arctic Circle, the largest city in Northern Norway, and has a more temperate, coastal climate. The sky sometimes lights up green over the entire city, but you can also choose to take a snowmobiling adventure to the outskirts of the Lyngsalpene Mountains for some solitude. 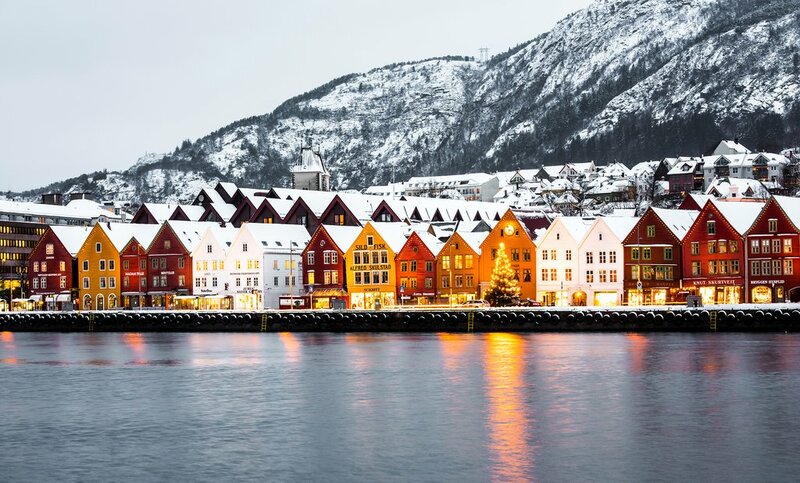 In Norway, Christmas is "Jul," and few other places take the season so seriously — it often lasts months. After all, with less sunlight and months of snow, winter might as well be one giant holiday celebration. Locals will be busy decking out their houses, making at least seven varieties of cookies, and taking part in town events. It's a good idea to join them! Head to Røros, the town that inspired Frozen, for the Røros Christmas Market in early December. Choirs sing in the streets, the smell of sausages and smoked salmon fills the air, and sleigh rides underneath sheepskin blankets are a valid method of transport. If you don't happen upon a market in your travels, look for a few smaller traditions. Grab a Christmas cookie at a bakery (goro, krumkaker, or berlinekrans), sit down to a meal of pinnekjøtt (lamb ribs) at a restaurant, or hit up a holiday concert at one of the many music halls across the country. 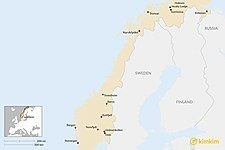 Winter sports in Norway are really the only sports — the summer Olympics barely exist to Norwegians. Once the snow hits, locals will be snowshoeing, skiing, and sledding not only for fun, but as a means to get around. 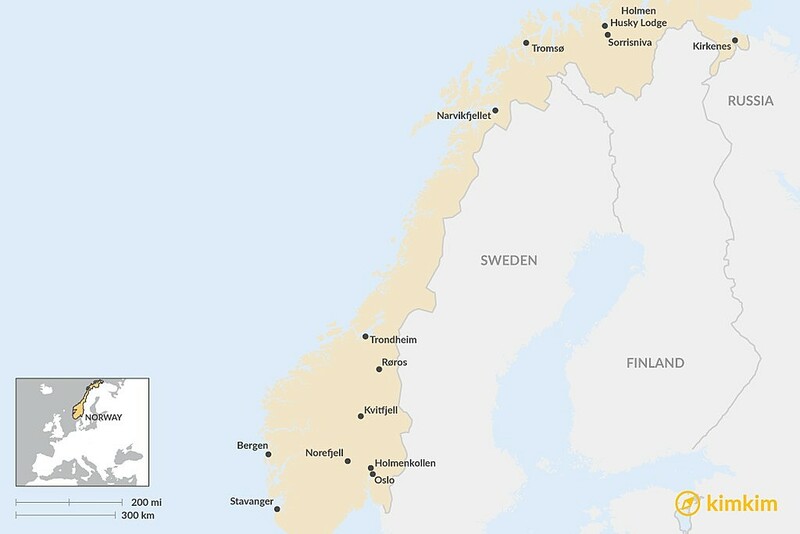 Eastern Norway claims the most popular skiing destinations, thanks to its hilly terrain and heavier snowfall. Check out Holmenkollen in Oslo for one of the country's busiest ski jumps, or head to Kvitfjell or Norefjell for even more options and wilder terrain. Further up north, Narvikfjellet will have you in the powder looking over the Ofotfjord. And, of course, cross-country and snowshoeing trails dot the entire country. As for sledding, picture it with a team of huskies. 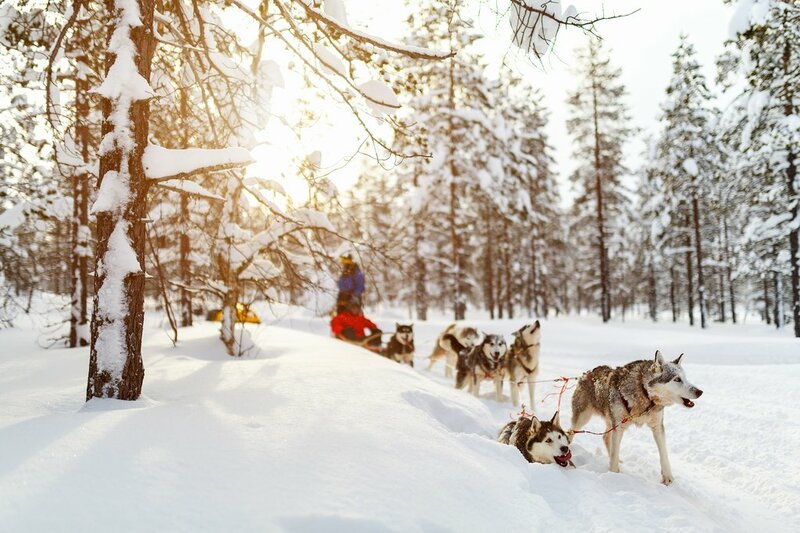 Head to Holmen Husky Lodge in Alta to command your own team, simply spend time with the puppies, relax in their lodge and sauna, or to sleep in the wilderness under the Northern Lights. 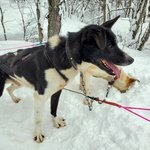 In Tromsø, check out the Villmarkssenter to dogsled with pups (and the pros) that have raced in the Iditarod. The northernmost ice hotel in the world is in Alta, and it's exactly what it sounds like: a hotel entirely made of ice. Entirely. Sorrisniva is only open from December to March, and it stays around 25°F at all times. Your bed, your room, the bar — everything is ice, and as long as you're bundled up, it can be an incredibly calming experience (and one for the bucket list). Pack plenty of wool for good measure, but the hotel will provide an extra-cozy sleeping bag to make sure you stay warm at night. In the morning, head to their sauna, and then spend the day meeting the local indigenous tribe, the Sami, hang out with reindeer, or go on an ice fishing adventure. And just in case you're wondering, yes, even ice hotels have free WiFi.